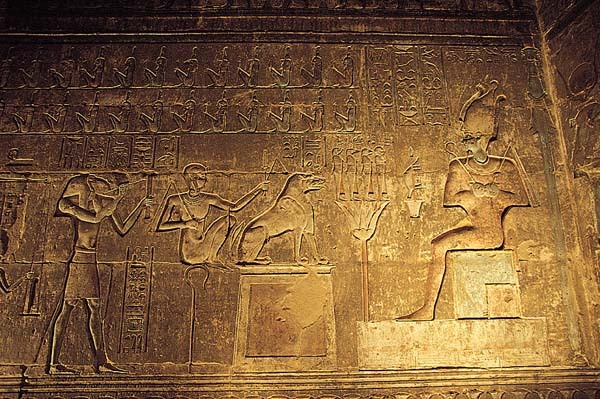 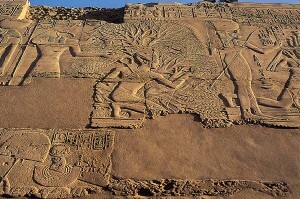 The dog-headed Anubis acts as a guide and companion to the soul in the afterlife journey. 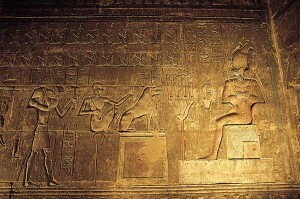 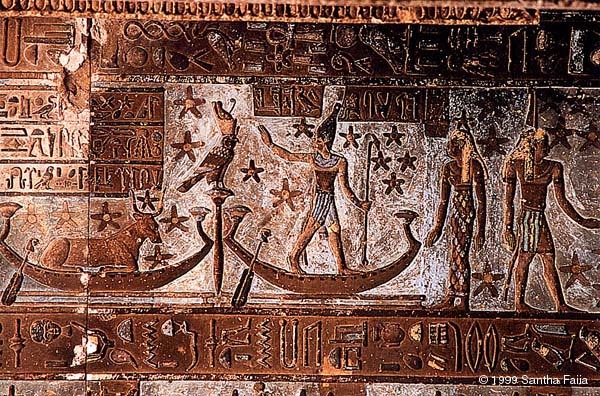 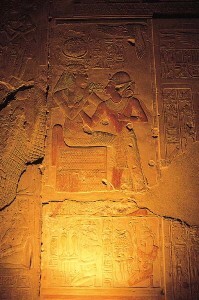 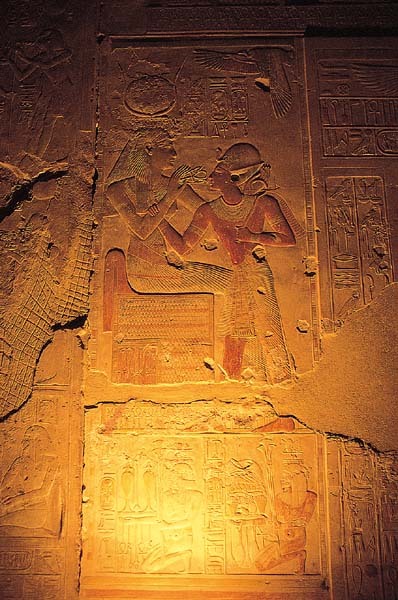 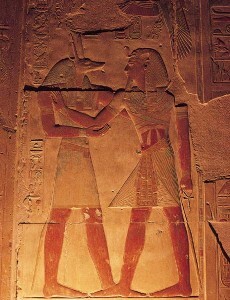 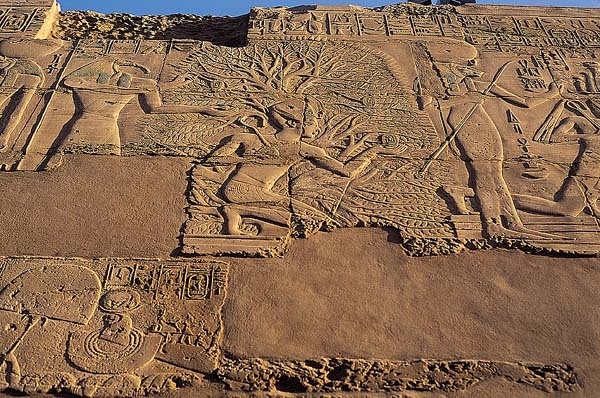 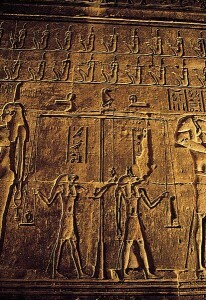 Seti 1 temple, Abydos: Isis, goddess of magic, offers ankh, the gift of eternal life, to the soul of Pharaoh Seti 1. 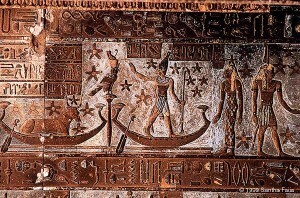 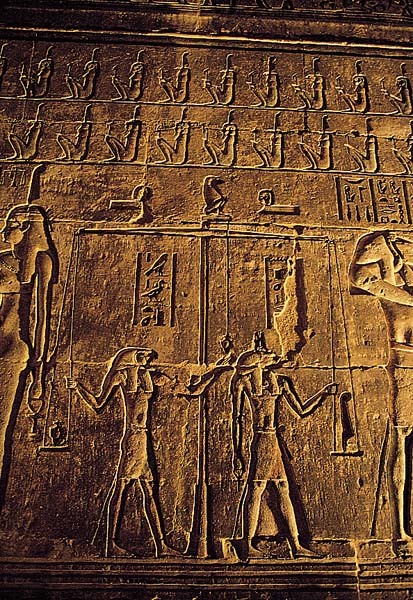 The Scales of Maat that weighed the soul of the deceased in the afterlife.